it's time again for Share Your Style! This week for me, it's been all about outdoors clean up, getting my potting bench in order, and then planting flower containers with some sun loving posies. 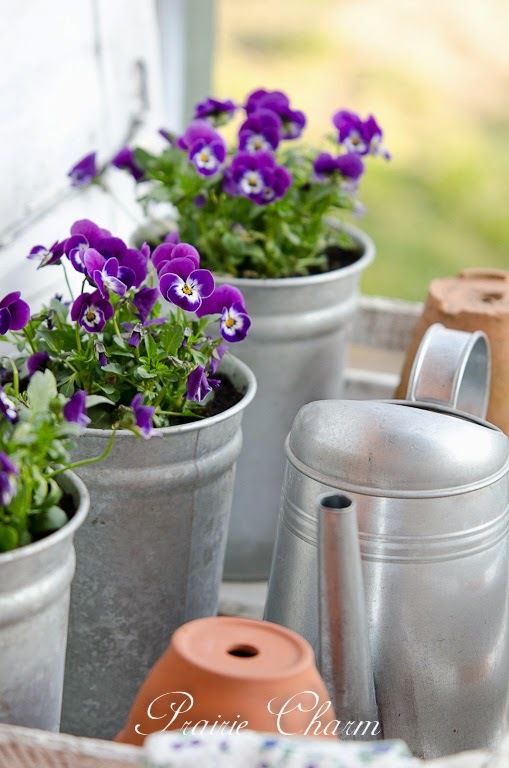 My feature pick this week from Praire Charm grabbed me with a fun potting bench and lovely pics of Violets. So glad you're here to share all your inspiration! I hope you'll check out my posts from this last week. Welcome to Share Your Style Party #12.
as always, "picking" a few Share Your Style posts is a very hard thing to do. They are all so wonderful, but one colorful photo caught my eye right away and since I love strawberries, they are one of the best fruits for you, and it's strawberry pickin' time, I'd like to share Pam of Everyday Living 's field trip. Great photos and recipes Pam! 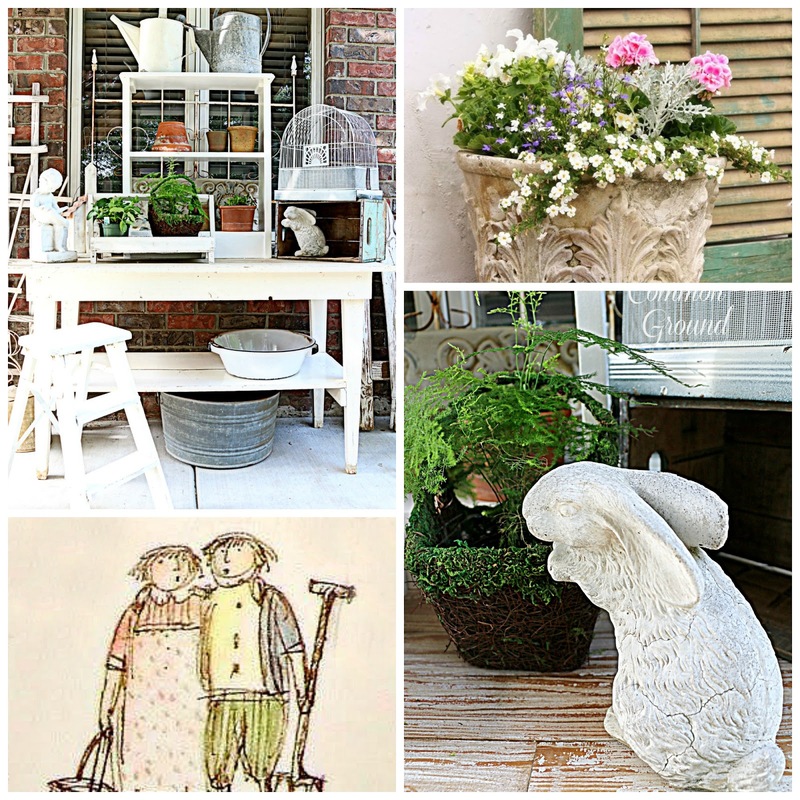 Penny, of Penny's Vintage Home, shared a potting table that knocked my socks off. Picked up at a yard sale, she transformed an old table to a thing of beauty for her back yard. Go see! Julie, of Little Farmstead, showed us her arbor that sets the entrance to her property. It's so pretty, and now that Spring is here, it's covered in gorgeous greenery and twinkle lights. A little Spring DIY project was the subject of Maria of Home Away From Home's post last week. Full of fresh cottage farmhouse charm, it's inexpensive and simple to make. You will love it! 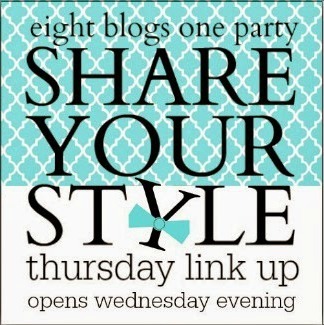 And please Make sure to have a link back to Share Your Style somewhere in your post. Thanks for taking part in hosting the Share Your Style, Debra. It's definitely a fun one! Its so sweet of you to continue to do this for us all! Thank you Debra ! Great features...yum, strawberries and would love to stroll through that lilac covered arbor! Thanks for hosting! Thanks for hosting Debra! See you next week. I LOVE the birdhouse chandelier and the rusty bicycle stole my heart!!! Thanks for hosting Share Your Style! each week!!! Thank you for hosting sweet Debra! Debra, thank you for hosting the party! Thanks Debra and Friends for Share Your Style 12. Always a treat to join in. Let me know if you need another partner for the Christmas show! DL is finally semi-retiring and we want to do a few! Thanks for hosting and loved your planters' inspiration post. I sure wish that I could have visited you at your booth space...it looks like you had a bounty of beautiful things! Have a wonderful weekend and thank you all for hosting!